Hello everyone! I’ve been meaning to do a sign up post for #YARC2019 since the day it started, but, oh! it’s procrastination, my oldest & most trustworthy friend! But, this weekend, I sat down and told myself that no matter what, I AM DOING THIS TODAY and here we go! For those who are unaware of this, #YARC2019 is a reading challenge for, yes you guessed it, reading ASIAN BOOKS! It is hosted by the absolutely amazing bloggers – Shealea @ Shut Up, Shealea, CW @ The Quiet Pond, Lily @ Sprinkles of Dreams, and Vicky @ Vicky Who Reads. You can read any titles – frontlist, backlist, ARCs as long as they’re written by Asian authors and as long as you start and finish reading them in 2019, it counts towards the challenge! 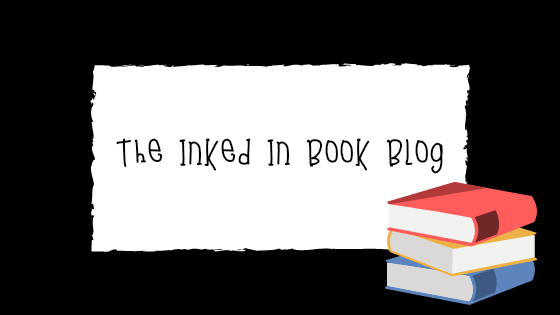 You can participate from anywhere – your blog, twitter, even goodreads! So, what are you waiting for? GO DO IT!! As an Asian myself, this challenge is absolutely perfect for me, because of course, I need more Asian books! I need to see myself, my neighbours, and brethren being represented in books, and 2019 IS GOING TO BE THE YEAR FOR IT SO HUZZAH!! We have so very many Asian books releasing this year and it makes my heart jump for joy! Of course, there are also so many backlist titles by Asian authors that I am yet to read and am super excited to read! I am setting myself up low, to a target of only 20 books, even though I do want to read more, but, the goal of 20 seems to be incredibly manageable, and manage, we shall! Let’s hope that I get to read more of them, but yes, at least 20 books in the entire year IS NOT far-fetched, so we’ll start with that! 1. The Kiss Quotient by Helen Hoang – #OwnVoices South Vietnamese Rep.
1. Fly With Me, Hudson Lin – #OwnVoices Chinese Canadian Rep.
1. The Ultimate Pi Day Party, Jackie Lau – #OwnVoices Chinese Rep.
Are you participating in this amaze af reading challenge? How many books are you planning to read? What books have you read till now for this one? I love that your low target is still higher than my target, lmao. BUT YAY. I’m so glad you’re also participating. Yes!! I’m so excited for this one. I already have a few books that I can read towards it lined up and I’m so pumped!